All British online casino was introduced to the iGaming market in 2012, bringing with it a kind of romanticised patriotic theme at a time when the country’s identity was the subject of a lot of debate due to the looming referendums. 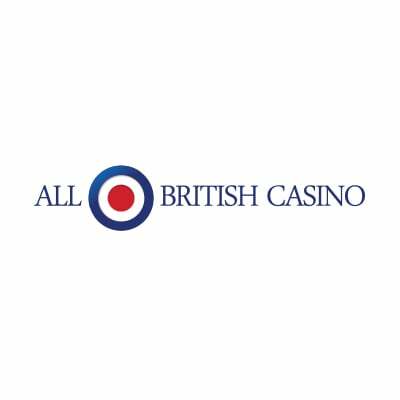 With it’s mixed red and white from the Union Jack and its royal blue background, this online casino lives up to its name. But is the sense of British patriotism merely a bit of bunting, or does the online casino deliver the type of superior gaming experience Britons want? We can firmly tell you that it does! When it first launched, All British Casino was exclusively powered by NetEnt. While this industry giant does indeed deliver first-class games, the exclusivity of it all meant that the casino couldn’t offer a greater selection of games compared to its competitors. Thankfully, it’s now also listed Microgaming and Amatic Games, which means more popular titles for you. Between these two monarchs of the gambling world along with a few others, All British Casino now has a big selection of games from the tried and tested favourites to the latest releases. This online casino is owned and operated by L&L Europe Ltd who are based in Malta, so it sports licenses from both the Malta Gaming Authority and UK Gambling Commission. So just know you’re dealing with reputable operators. At All British Casino, you don’t need to download software as all the games are available in Instant Play mode through your browser. This is a well-designed, easy to use site. So, let’s take a closer look at what it has to offer patriotic UK players. We all love a freebie, don’t we? Well, the welcome bonus from All British Casino could be worth up to £100, or a bullseye if you’re cockney! The 100% match deposit bonus up to £100 also comes with a rather generous 100 free spins for you to use on Aloha, Pyramid or Starburst. To qualify for the welcome bonus, you need to make a first deposit of at least £20. Best of all, there’s no messing about at this casino. The bonus terms and conditions are clearly displayed on the bonus page, not deeply hidden within the tedious depths of the terms and conditions the way some casinos do it. The requirements are also pretty fair – you need to playthrough the bonus amount 35x before you can withdraw it. Slots, lottery and a few other games contribute 100% to the requirements, while table games and video poker contribute 10%. Standard stuff. The maximum wager you can make at a time if 10% of your bonus amount, which we’d say is generous. There’s also no limit to how much you can win with your match deposit bonus. But take note that there are limits on any free spins or no deposit bonuses you may receive when playing at All British Casino. As soon as you make a deposit, the limitations are lifted. Best of all, All British Casino just throws bonuses at you left, right and centre. They’re updated regularly and often come in the form of free spins, so just keep checking back regularly so you don’t miss out. One area lacking at this casino, though, is that it doesn’t run a VIP club. All British Casino offers several different deposit and withdrawal methods. The minimum withdrawal here is £20 while the maximum is £5,000. The casino promises to process all withdrawals within 24 hours, but it can take up to four business days to show in your bank account depending on your chosen method. If you make a deposit using Skrill, take note that you’ll need to use the same method for your withdrawals. We mentioned in the beginning that All British Casino offers a good selection of NetEnt and Microgaming games, which means you have over a hundred of the best video slot titles to play. There’s conventional online slots, video poker, lottery games and a few random games like keno. Some of the most popular slot titles at All British Casino include Dracula, Dead or Alive and Drive: Multiplier Mayhem. This casino is also not short of table games. You’ll find American and European roulette, blackjack, single deck blackjack, baccarat, Casino Hold’em Poker, Caribbean Stud Poker, Texas Hold’em, punto banco, pontoon, Oasis Poker and even Red Dog. There are also 19 video poker titles and 17 games that fall under the ‘other’ category, so you might as well brew a pot and get comfy, there’s a lot to enjoy. We know just how much Brits love the sights, sounds and thrills of live dealer games, so it’s a good thing you’ll find a good assortment of live casino games at All British Casino, courtesy of NetEnt live. This gaming developer supergiant offers blackjack and roulette, both standard variants and common draw. All the games are streamed in real time from NetEnt’s very own live dealer studio that’s situated at an actual casino called Portomaso Casino in Malta. Even better, you can talk to the dealers through live chat while you play for a completely interactive and social experience. From the very beginning, NetEnt Live was designed to be a mega game changer. Knowing that players quickly get tired of out of sync audio and lagging video feeds, NetEnt has gone to great lengths to use the best possible technology to bring you an experience that’s as close to the real deal as you’ll find anywhere else online. What’s more All British Casino’s live dealer section has a very nice twist. The live games are available between 10am and 5am and you can even play them for fun with a 90,000 fun balance so you don’t have to risk any of your own money. So long as you’ve created a real player account and are logged in, you can dip your toes in the live dealer section without spending a penny. While All British Casino doesn’t yet have its very own mobile app for you to download, you can still access the website through your tablet or smartphone’s browser. All you need to do is click on your mobile device’s browser and play your favourite casino games on the go. Best of all, you can still access the same All British Casino welcome bonus through the mobile site and have fun with all the top features. This means you can carry the casino experience in your pocket to whip out and play whenever the mood takes you, provided you have an internet connection. Sometimes you may come across a promo code or two for mobile use. If you do, use it! It can really help bolster your mobile experience once you sign up at this casino. Let’s face it, it wouldn’t quite be “all British” is this casino didn’t have at least some sort of UK licensing and regulation in place, would it? Luckily then, All British Casino is licensed and regulated by the UK Gambling Commission and by its homeland regulatory body, the Malta Gaming Authority. Security at this online casino is verified by GoDaddy.com, which is quite a new one for us to come across in terms of online gambling safety. But, with the right auditing measures in place and the fact that the casino uses Random Number Generators to ensure gaming fairness, we just know you’re safe. What’s more, the casino only uses the most secure and reputable banking options, so there is no doubt all your banking and personal information is always kept safe and secure. All British Casino has a very comprehensive section of Frequently Asked Questions. That’s excellent. But we have to take away a point or two for the fact that the casino’s customer support team are only available for 18 hours of the day. In today’s online gambling world, there are just so many casinos that offer around the clock customer service. While we realize that this particular site focuses predominantly on the UK market, we think that’s no excuse for abandon players who play alter on and might need help. But this is a quick fix that could seriously boost the casino’s rating, so we’ll be watching to see if anything changes in the future. All in all, All British Casino is an online casino with a crystal-clear focus and plenty of elements of its portfolio keep the focus on track. From registration you get the feeling that everything here is optimised for British players, and it is, which isn’t necessarily a bad thing. What’s more, making your first deposit at the casino and claiming your welcome bonus is quick and without hassle. The assortment of NetEnt and Microgaming games are solid, and while there may not be as many as other casinos boast, the quality certainly makes up for it. After all, if you’re going to limit yourself to just a handful of suppliers, you really can’t go wrong with Amatic, Microgaming and NetEnt. Also, the live dealer section offers the rare opportunity to play for fun which we think is a wonderful way to familiarise yourself with the world of live dealer casino games. All British Casino’s ongoing promotions are creative and abundant which is a great way to keep you playing without risking huge amounts of pounds. The customer support is good, we’d just like to see t on offer 24/7. The casino further looks after player’s wellbeing by offering a variety of exclusions and self-limitations. Overall, this is an excellent casino for players in the UK looking to get into online gambling. More experienced players may eventually look elsewhere for variety, but newbies can easily spend many happy days at All British Casino before the need to spread your wings kicks in. If you fancy a hassle-free, enjoyable gaming experience, we do indeed recommend All British Casino.